“We love animals, we love forest”, was his parting note with immense happiness and pride. Bala, the naturalist, born to a Tamilian couple who left Sri Lanka with many other Tamilian families in 1972 when Sri Lanka officially took its name from Ceylon. Bala lives in Gavi with scanty population of just one thousand residents. As soon as the jeep takes the turn from VandiPeriyar town to the right, the beautiful tea plantation on both sides of the road start to diminish and the forest starts to thicken. After another 5 kms the sound of the jeep gets louder as the altitude drops steeply. The road, slippery enough with rains, is sufficient for only one vehicle to pass. Once we registered ourselves about 15 kms before the village we were advised to stay inside the Jeep. The forest is home to about 1000 Indian Elephants, 50 Tigers, Bison, Sambar, Langur etc and over 300 species of birds. The vehicle was now snaking through the dense forest, the sight of sprawling wooded hills, air filled with fresh eucalyptus and cardamom plantation, melodious waterfalls and chirping birds, fine rain spraying drops on my cheeks were providing a great scenic charm to the nature’s bounty. We spotted the Bison, Langur, Malabar Squirrel and Sambar during our drive. I met Bala on my arrival who was taking me around Gavi as arranged by the FDC (Forest Department Corporation). We started with the boat safari in Kochu Pampa, manmade lake, which was built in late 1800’s by British people. Spreaded in 25 sqkm it gives a sprawling view of sparkling waterfalls and animals pondering to quench their thirst. The naturalist, Bala, was rowing the boat for almost one hour when he shared his recent interest in learning photography. I offered him my camera to try his hand while I explored the waterfall. 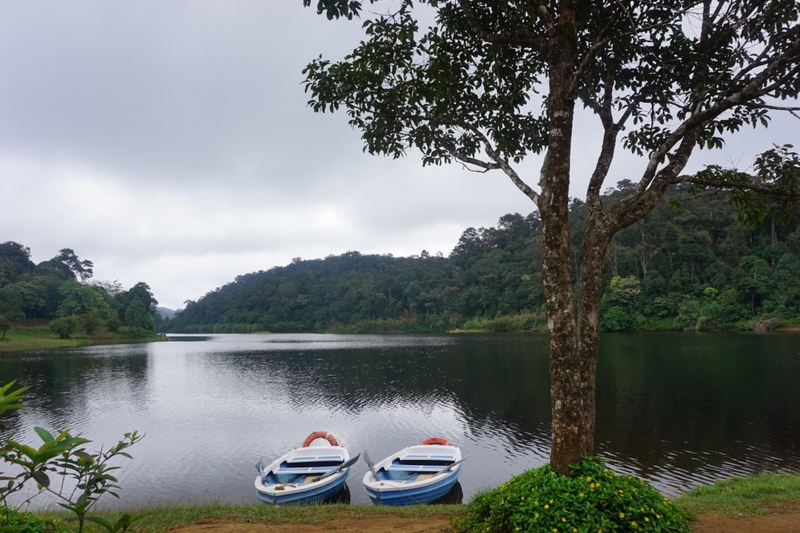 After a serene safari in the lake we were now ready for a short climb to witness the breathtaking view of the highest point of the Periyar range. The hike was short but steep. Since my will was strong to climb I guess my shoes were not, both soles of my shoes came off. Oh Lord I had these shoes for almost 10 years with me but guess this was the end of our long companionship. With my sole-less shoes I reached the peak to be captivated with a spectacular view of Sabrimala temple in (one of the ancient Indian Temple in South India) the middle of dense forest. At this point weather changed and heavy downpour surrounded, damn, I was not prepared of the rain and neither my sole less shoes. My conversation with Bala was intense than the rain. I was impressed with his command over English language and his knowledge of the western Ghats of India. During our conversation on tribes in Periyar forest Bala revealed that he is aware of the tribal settlement in the village which is kept confidential from many. 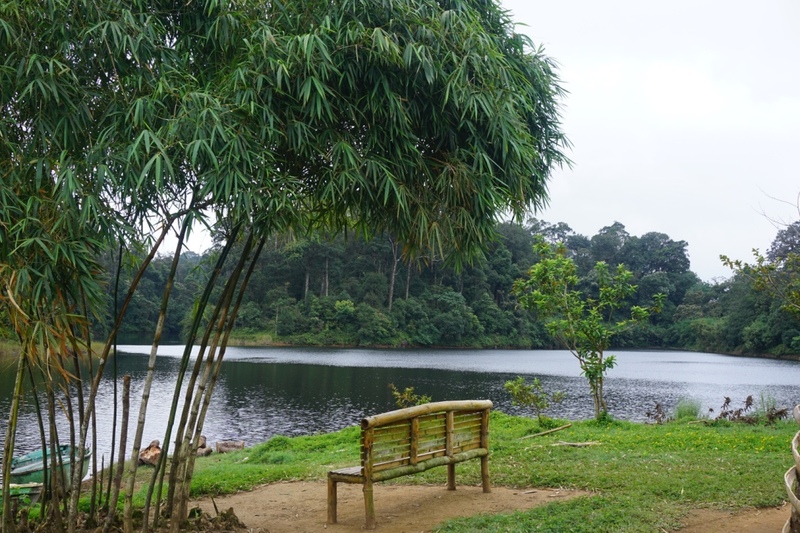 Periyar is home to Mannan and Paliyan tribes of Kerala. Bala was not comfortable to give me a glimpse of their habitat. However he soon gave up to my perseverance to encounter the tribes and after a 30 minutes of bumpy drive deep inside the forest we reached the end of the road. After another trek of 15 minutes down into the forest we reached the hut. Some children between the age of 6-12 years were playing in the muddy outskirts and a woman was cutting woods. Seeing us they ran towards the door. Bala approached them and explained about our visit. They were excited to see the camera and did not shy to be clicked. Three couples with 5-10 children each adding up to total 30 people stay in four huts. The tribes are protected by the forest department. They are the second generations of the cave dwellers who now live in the huts. 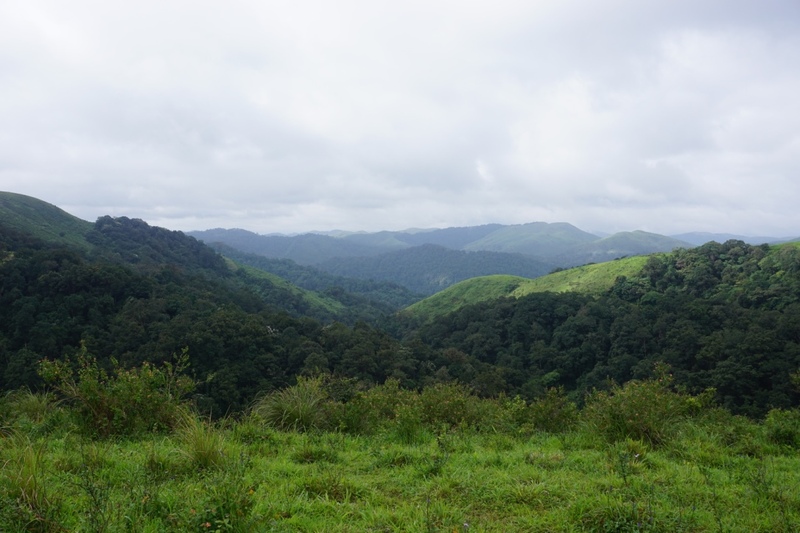 Since many tribes in Periyar range have been converted from poachers to protectors, they now work as guides and cultivate cardamom and pepper in the hills. The forest department involves them in various activities to protect the wildlife and in turn they are provided with food, shelter and clothing. They occasionally go to the jungle not to poach but collect honey, fruits and wood for their livelihood. Back in my room in the hills, fascinated by the beauty of forest and the life of Adivasi I thought to myself how many such secrets are hidden in the woods of Periyar reserves along with handful of Tigers.